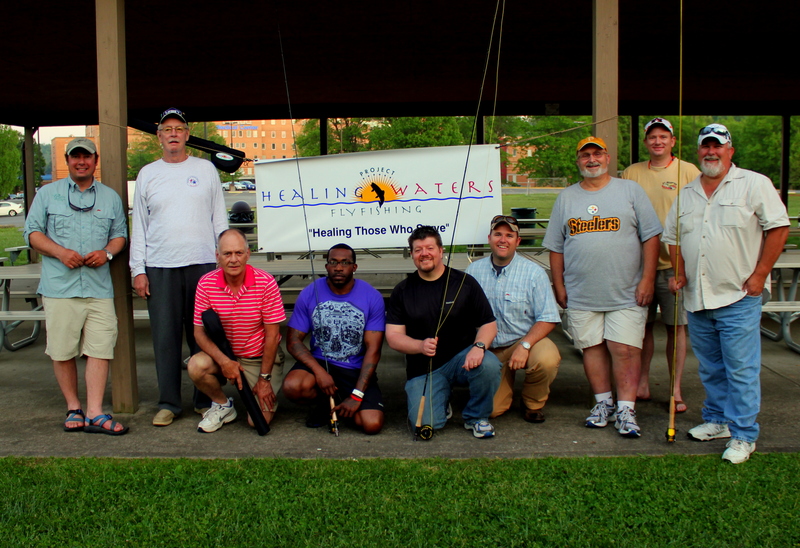 The Mountaineer PHW group after a good day of casting in the VA Park. 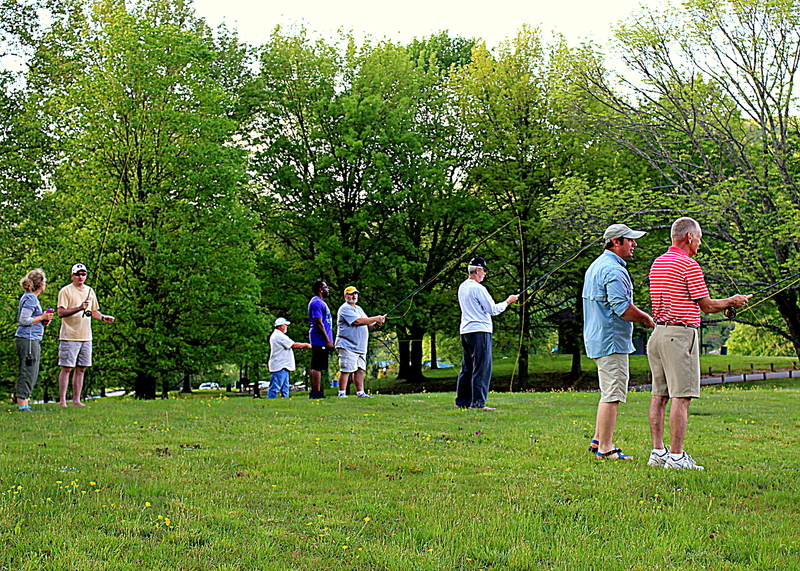 Jacob Ott, Director of the Greenbrier Sporting Club drove up from Lewisburg to help us with our casting class. 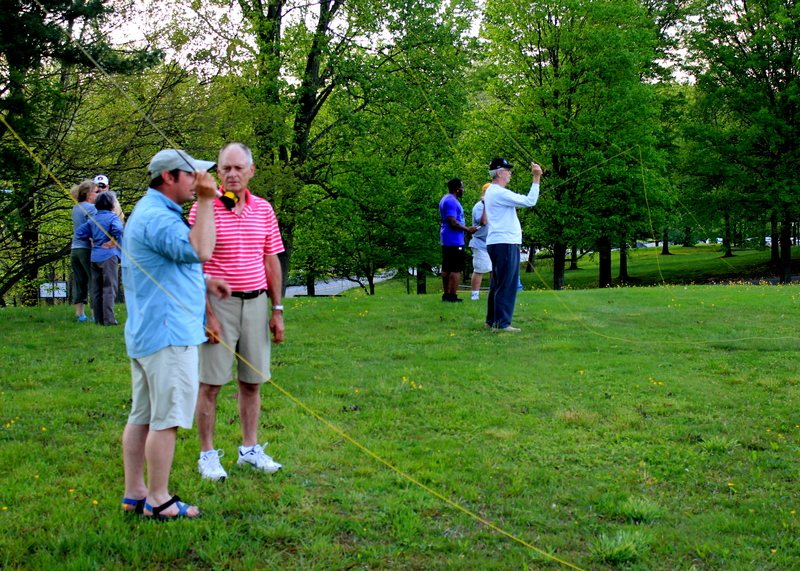 Jacob is a certified Fly Casting instructor and helped all of us with our casting! Our next class we will put everybody’s skills to the test as we try hitting the water. We are looking for donations of leaders, tippet, and flies to help supply our classes. And as always we are always looking for fly fishermen/women who are interested in volunteering and helping with our classes.